Theo Epstein took over the Cubs in 2011 after a 71-win season. This year, they won 103 games -- and their first World Series in 108 years. How did it happen? We examine all his moves, big and small. How did Epstein build a 100-win team? 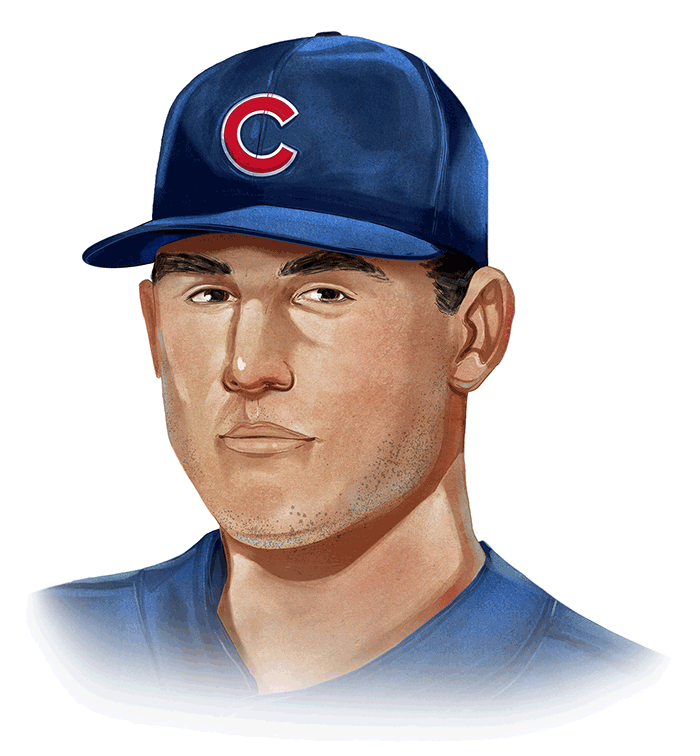 He started with a few successful trades (hello, Anthony Rizzo!). A few shrewd draft picks followed, and then a handful of free agents were the final pieces. After Epstein traded for Rizzo, he pulled off what would become hugely one-sided deals for pitchers Kyle Hendricks and Jake Arrieta. The Cubs nabbed right-hander Hector Rondon and drafted Kris Bryant around the same time, and then the club became a prime free-agent destination -- veterans Jon Lester, John Lackey, Ben Zobrist and Jason Heyward were signed over the past two years. Note: Chris Coghlan and Jason Hammel were traded separately to the Oakland Athletics, but Epstein reacquired both. WAR totals reflect all stints with the Cubs. June 12, 2008 Drafted Tony Campana in the 13th round. Later included in a trade for Jesus Castillo, who was part of a trade for Joe Smith. July 2, 2009 Signed Willson Contreras as an amateur free agent. June 8, 2010 Drafted Matt Szczur in the fifth round. June 6, 2011 Drafted Javier Baez in the first round (ninth pick overall). June 6, 2011 Drafted Dan Vogelbach in the second round. Later included in trade for Mike Montgomery. Oct 12, 2011 Theo Epstein is hired away from the Red Sox as Cubs president of baseball operations. Dec. 21, 2011 Signed Reed Johnson as a free agent. Later included in a deal for Arodys Vizcaino, who was part of a deal for Tommy La Stella. Dec. 23, 2011 Traded Sean Marshall to the Reds for Dave Sappelt, Ronald Torreyes and Travis Wood. Jan. 10, 2012 Signed Paul Maholm as free agent. Later included in a deal for Arodys Vizcaino, who was part of a deal for Tommy La Stella. April 4, 2012 Claimed Luis Valbuena off waivers from the Blue Jays. Later included in a deal for Dexter Fowler. June 4, 2012 Drafted Albert Almora in the first round (sixth overall). June 4, 2012 Drafted Paul Blackburn in supplemental first round (56th overall). Later included in a deal for Mike Montgomery. June 4, 2012 Drafted Rashad Crawford in the 11th round (344th overall). Later included in a deal for Aroldis Chapman. July 3, 2012 Signed Frandy De La Rosa as an amateur free agent. Later part of a deal for Spencer Patton. June 30, 2012 Signed Jorge Soler as an amateur free agent. July 30, 2012 Traded Reed Johnson, Paul Maholm and cash to the Braves for Jaye Chapman and Arodys Vizcaino. Vizcaino later included in a deal for Tommy La Stella. The Cubs landed mild-mannered ace Hendricks at the 2012 deadline in exchange for stalwart starter Dempster. The deal was an early illustration of Epstein's uncanny ability to part with a solid contributor who still held trade value but nevertheless was on the cusp of a major drop-off. Dempster put up an 89 ERA+ for Texas and Boston before retiring. He returned to Chicago and drops by Wrigley Field from time to time to do his famed Harry Caray impression. Hendricks, meanwhile, was the only qualified MLB starter with a sub-2.20 ERA and a hard-hit rate below 10 percent this season. Nov. 27, 2012 Signed Scott Feldman as a free agent. Later included in a deal for Jake Arrieta and Pedro Strop. Dec. 6, 2012 Selected Hector Rondon from Cleveland in the Rule 5 draft. Jan. 26, 2013 Signed Carlos Villanueva as a free agent. Feb. 18, 2013 Traded Tony Campana to the Diamondbacks for Jesus Castillo and Erick Leal. Castillo was later traded for Joe Smith. The Cubs' 101-loss season came with a benefit: the No. 2 pick of what will forever be known as the Kris Bryant draft. You can't really fault the Astros for taking Mark Appel at No. 1. ESPN's Keith Law had Appel atop his board as well and called him "clearly the top talent in this year's class." The draft is an inexact science, and that uncertainty helped make the Cubs' franchise. Bryant hit 43 homers in his first full minor-league season, was named rookie of the year in his first big-league season and may win the NL MVP award in 2016. June 6, 2013 Drafted Zack Godley in the 10th round. Later included in a deal for Miguel Montero. July 2, 2013 Signed Jeferson Mejia as an amateur free agent. Later included in a deal for Miguel Montero. July 2, 2013 Signed Gleyber Torres as an international free agent. Later included in a deal for Aroldis Chapman. Wow. The Cubs signed Feldman in a low-key free agent deal, watched him put up a solid 112 ERA+ (15 points better than his career average) for half a season, then flipped him to the Orioles in a stunningly lopsided pre-deadline deal during the 2013 season. 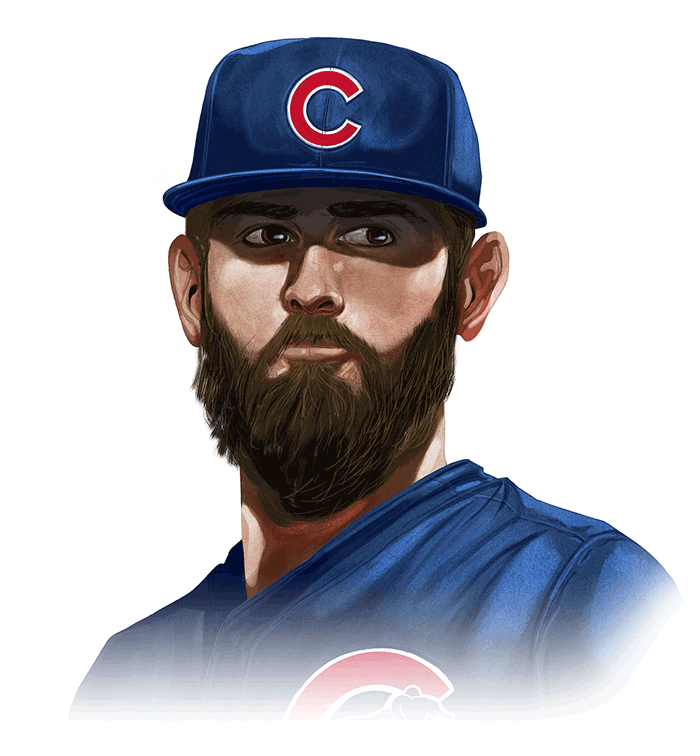 Arrieta had underachieved with Baltimore for years, but in Chicago he turned into a combination of Bob Gibson and Walter Johnson on his way to winning the 2015 Cy Young Award. Oh yeah: Strop has become one of baseball's better setup men. July 22, 2013 Traded Matt Garza to the Rangers for Carl Edwards, Justin Grimm, Mike Olt and a player to be named later (Neil Ramirez). Jan. 20, 2014 Signed Chris Coghlan as a free agent. Feb. 13, 2014 Signed Jason Hammel as a free agent. June 5, 2014 Drafted Kyle Schwarber in the first round (fourth overall). Nov. 2, 2014 Joe Maddon is hired as manager away from the Rays. Nov. 16, 2014 Traded Arodys Vizcaino to the Braves for Tommy La Stella. Dec. 9, 2014 Traded Jeferson Mejia and Zack Godley to the Diamondbacks for Miguel Montero. Dec. 12, 2014 Signed Jason Hammel as a free agent. The Cubs didn't know Arrieta was going to explode when they signed Lester to be their ace. 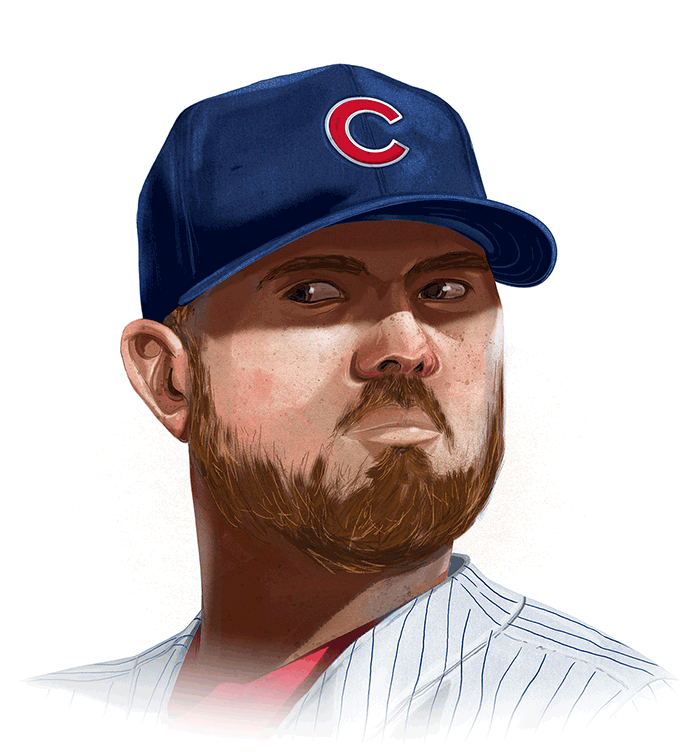 Though there is a long history of big free agent deals to pitchers that went south, Lester has been everything the Cubs hoped for, and if Hendricks doesn't win the 2016 NL Cy Young Award, Lester just might. When Lester signed in Chicago, it signified that the Cubs were ready to win. Dec. 23, 2014 Signed David Ross as a free agent. Jan. 19, 2015 Acquired Dexter Fowler from the Astros for Dan Straily and Luis Valbuena. July 13, 2015 Purchased Clayton Richard from the Pirates. Aug. 18, 2015 Signed Trevor Cahill as a free agent. Nov. 20, 2015 Traded Frandy De La Rosa to the Rangers for Spencer Patton. Dec. 8, 2015 Signed John Lackey as a free agent. Dec. 8, 2015 Traded Starlin Castro to the Yankees for Adam Warren and a player to be named later (Brendan Ryan). Realizing they were just one or two pieces from getting over the top, the Cubs spent freely during the 2015 offseason. The results have been mostly positive despite Heyward's season-long slump at the plate. Zobrist and Heyward have provided a tone of defensive value, both for their actual performance and their versatility. When looked at in tandem, even the huge dollar amounts in play look like fair value -- at least for this season. Jan. 14, 2016 Signed Tim Federowicz as a free agent. Feb. 25, 2016 Traded Chris Coghlan to the Athletics for Aaron Brooks. March 3, 2016 Signed Ryan Kalish as a free agent. March 29 2016 Signed Munenori Kawasaki as a free agent. May 17, 2016 Signed Joe Nathan as a free agent. June 9, 2016 Traded Arismendy Alcantara to the Athletics for Chris Coghlan. June 12, 2016 Claimed R.J. Alvarez off waivers from the Athletics. June 13, 2016 Signed Joel Peralta as a free agent. June 14, 2016 Signed Brian Matusz. July 20, 2016 Traded Paul Blackburn and Dan Vogelbach to the Mariners for Jordan Pries and Mike Montgomery. 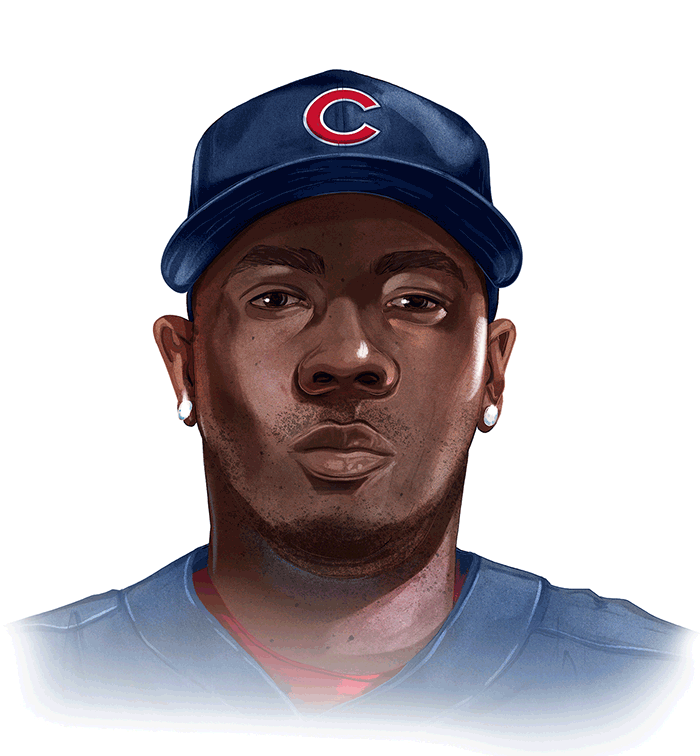 The Cubs took a PR hit when they acquired the fireballing but controversial Chapman. 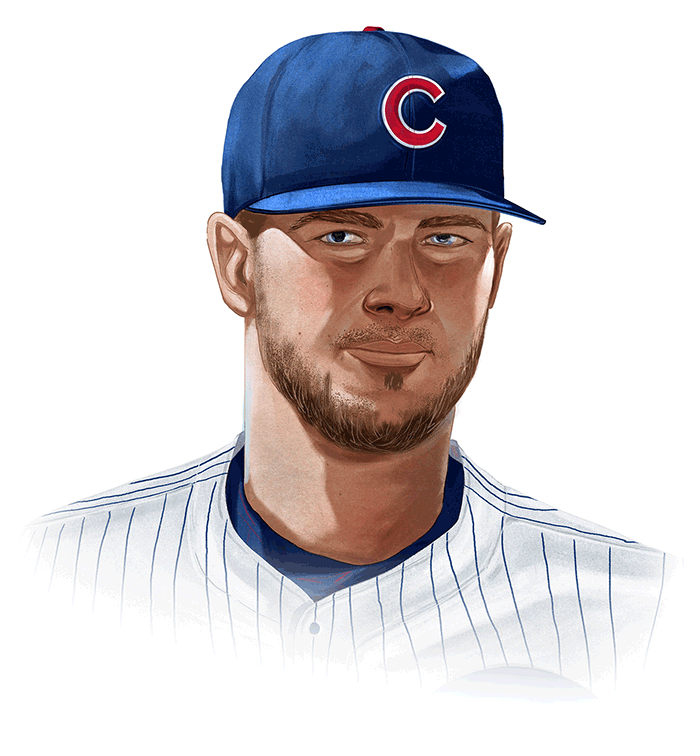 On the field, he turned the back of the bullpen into one of the best in baseball, (provided he, Strop and Rondon are healthy for the postseason). Chapman will be a free agent after the season, and if he leaves and Torres becomes a star, the net WAR of this deal could be ugly. But if the Cubs win the World Series, no one will care. Aug. 1, 2016 Traded Jesus Castillo to the Angels for Joe Smith. Illustrations by Jonathan Bartlett. Data courtesy Baseball-Reference.com and TruMedia.